The National Assessment of Educational Progress (NAEP) is a national exam often used by educators, politicians, and parents to decide how well the nation’s schoolchildren are learning their three R’s. A recent NAEP report reveals a disturbing trend: reading scores have not significantly improved since 1971. This stagnation in the NAEP reading scores is accompanied by what has been called a reading “crisis” in the United States, where 30 to 40 percent of U.S. high school students are unable to read at grade level. The best way to teach reading is a source of great debate. In the spring of 2000, a congressionally mandated panel suggested that a combination of teaching methods, including phonological instruction and oral reading, might be the best course of action. But are we all signed on? From phonics to whole language to brain-based learning, experts can’t seem to agree on anything except that something needs to be done to improve the way we teach our students to read. What do Studies of the Brain Tell Us? The 1990s were deemed the Decade of the Brain and, indeed, many studies in cognitive neuroscience produced results that could help determine the best way and the best ages at which to teach children to read. Brain-imaging studies have yielded some intriguing findings on the way the brain processes the act of reading. The brain grows in “fits and starts,” with the parts of the brain responsible for language growing and changing until puberty. Dr. Antonio Damasio, a neurologist at the University of Iowa College of Medicine, has used brain-imaging techniques to study brain and language relationships; his research shows that many different regions of the brain interact to allow us to understand language. 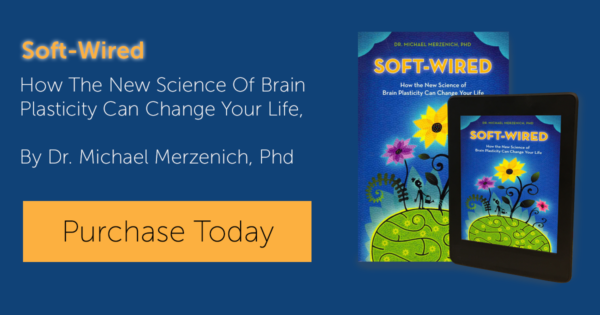 This diffuse pattern of brain function is very different than the mechanisms that control certain sensory systems, such as hearing, which is centralized in a single highly specialized, region of the brain. Other brain imaging studies have shown that the same brain areas used to understand spoken language are also used during reading. Dr. Paul Thompson and his colleagues at UCLA have shown that these areas of the brain continue to grow and change all the way into puberty. The implication from these studies is that reading ability can improve well into puberty. How can we use neuroscience research in the classroom to improve reading scores? In 1995, the U.S. government launched a multiyear research initiative to improve math, science, and reading instruction. One of the primary objectives of this initiative, called the Interagency Education Research Initiative (IERI), is to sponsor basic research that has direct applications to the classroom. In this way, the government hopes to bring educators and neuroscientists together to attack the challenges involved in teaching reading. Although it is still too early to tell if any of the initiative’s studies will result in substantial improvement in the classroom, the very act of bringing together these different fields is a novel attack on a very old problem and seems to be off to a good start. Susan Sommers, an elementary school teacher in Seattle, feels a good deal of frustration with the system. One factor that helps children develop reading skills is the regular practice of parents or other adults reading to children. Studies of child development show that print-rich environments—homes where books and magazines are plentiful and the act of reading is part of a family’s daily routine—result in better readers. Children who lack this kind of stimulation at home will have a harder time learning to read. An observational study conducted in 1995 shows that children who have a lower quantity of verbal interaction at home tend to have lower scores on vocabulary tests. Proficiency on vocabulary tests is associated with reading ability, according to the National Research Council committee on the Prevention of Reading Difficulties in Young Children. Thus, a lack of verbal stimulation at home during the preschool years will lead to decreased reading ability later in grade school. If a family legacy of low literacy is added to the picture (according to the National Institute for Literacy, 21 to 23 percent of adults in this country score in the lowest literacy levels), then it is clear that many of the nation’s children may not have access to the environments that are crucial to developing good readers. A 1998 report from the National Research Council (NRC) suggests that children who are “at-risk” for reading difficulty (at-risk children were defined as coming from families where verbal interaction was lower than average) often enter kindergarten with very little phonological knowledge. Phonological knowledge is the ability to isolate the sounds within words—this kind of ability is what allows beginning readers to “sound out” words with which they are unfamiliar. In 1998, Dr. G. Reid Lyon in a statement before the Congressional Committee on Labor and Human Resources said: “This understanding that written spellings systematically represent the phonemes of spoken words (termed the alphabetic principle) is absolutely necessary for the development of accurate and rapid word reading skills.” Thus, a lack of phonological knowledge is a large barrier to learning to read. There does seem to be some benefit to providing at-risk children with some extra training in phonological awareness. A 1994 report in the Journal of Learning Difficulties described a study on a sample of 431 children that compared reading scores of “at risk” children to children who received a significant amount of support and instruction at home. At the beginning of the study, there was a 13 to15-point margin between the two groups’ reading scores. The researchers found that if the at-risk children received extra instruction emphasizing phonological awareness, their scores increased on average to approach within 5 to 10 points of the control group. Although the at risk group did not completely catch up to the control group within the time frame of the study, the increase seen in the average reading scores suggests that with some targeted training, even children who have missed out on the advantages of a print-rich home environment can be taught to read at a more proficient level. National test scores are difficult to interpret, because they reflect the averaged ability of a diverse population. Children from incredibly different backgrounds are all represented in the same test scores. 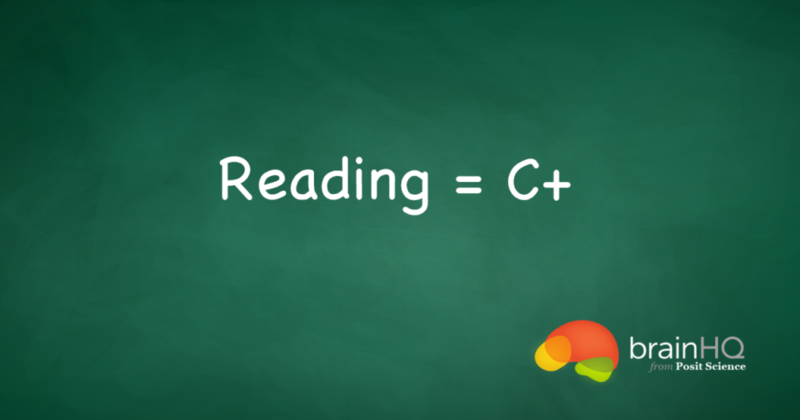 It is therefore difficult to find one answer that will solve all the different factors that lead to a reduced reading ability. The fact that national reading test scores have stagnated over the past few decades does indicate that the way we teach our children to read is not improving. Since almost a quarter of the nation’s adults is functionally illiterate, this plateau in national reading scores is not a good sign. Many studies indicate that reinforcing reading skills at home is crucial to developing a skillful and enthusiastic reader. The NRC has found that there are specific risk factors that can predict at least one subset of the population of children that will be likely to have difficulty in learning to read. Studies of the brain show that the language centers of children’s brains continue to grow and develop well into puberty, which suggests that there is time to help these at-risk children to catch up. According to some studies, specifically targeting these children with phonological training does seem to increase reading ability. As a nation, we should be concerned about national test scores, because they offer some kind of a “report card” on how well we are teaching our children. However, it might be best to place less emphasis on the bottom line of raw test scores and instead to pay more attention to the fact that we have a diverse population of students. An equally diverse palette of teaching methods is most likely going to be the best course of action to take.